With today’s modern technological means, many have access to training DVDs and websites such as Youtube. Often, people pursue to learn new skills by watching such footage rather than leaving the comfort of their home. DVDs and Youtube can be excellent secondary resources besides regular training. Often people do not want to believe this, therefore here is the reasoning: how can a DVD or Youtube do the problem solving for you when you experience challenges while trying to progress? 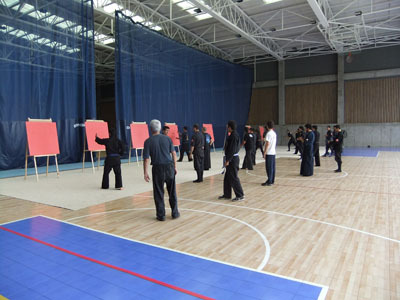 Meifu Shinkage-ryû (MSR) has many supplemental training resources available. Otsuka-Sensei published an excellent DVD, as well as a book (in English, Spanish and German editions) to help like-minded get started. These resources are also very helpful for current MSR members to continue their training. 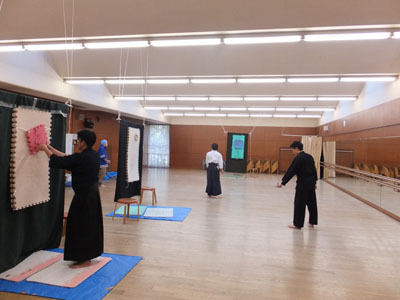 However, if you are really dedicated to learning Meifu Shinkage-ryû to its full potential, it is necessary to do in-person training with an authorized instructor. 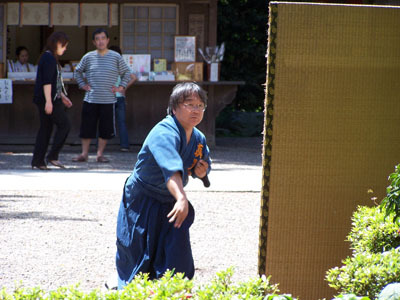 This is similar in all Budo (Japanese Martial Arts). Training with an authorized instructor has many advantages. The first advantage would be helping a novice student problem solve. Part of the role of a good instructor is to guide you in your Budo journey to make the skills become your own. When instructors give you their secrets and solutions, part of your journey is skipped: your own reflection. One of the best ways of learning Budo is to enjoy the full body and mind experience while slowly grasping, analyzing and even dissecting each component of a skill. An authorized MSR instructor can help you with that to make the skills become your skills. Below are several ways of connecting to MSR instructors. 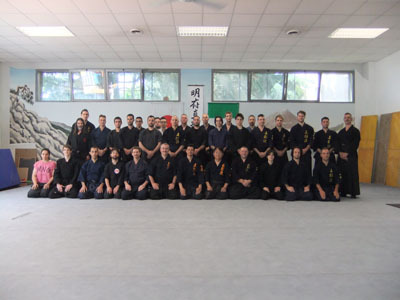 Come to Japan to train with Otsuka-Sensei or one of the Shihan (Master Instructors). Besides getting an excellent training opportunity, you can also enjoy the cultural diversity of visiting some of the beautiful regions of Japan. Many MSR Branches or Study Groups (Keikokai) organize seminars at different locations throughout the world. Such seminars provide one of the most efficient opportunities to train and learn from Otsuka-Sensei directly. In addition, you get to meet other MSR members. List of upcoming Seminars. Meifu Shinkage-ryû is represented by Branches or Keikokai in many countries around the world. Becoming a member of a Branch or Keikokai is a fantastic option that provides regular exposure to training with an authorized instructor. List of Branches and Keikokai. If a Branch or Keikokai is not accessible in your country, Otsuka-sensei may authorize you to start a new Keikokai under strict conditions. One of such conditions would be to attend an international seminar or to participate in training in Japan first.